Home » Recent News » Is a Reverse Mortgage a bad idea? Is a Reverse Mortgage a bad idea? In a word, no. Absolutely not. So then why such a misconception for a loan that is nothing more than a strategy for someone within a certain age group? Well, if you dig deep enough and long enough you can always find something bad about anything. That’s just a fact of life. And for every one or two bad reverse mortgage stories in the media about some poor senior citizen who the media portrays as misled, I’ll show you millions of folks in all age categories who lost their homes in foreclosure with a forward traditional paying mortgage. Those millions lost in foreclosure are higher than the divorce rate and it’s at 50 percent!! Those are more than off balance numbers if you ask me. So let’s take a look at mortgages in general to hopefully gain some great insight. I consider myself a seasoned mortgage consultant. I can certainly say that ALL debt can potentially be bad. Keep in mind this coming from someone who has aligned people with debt every day for the last 14 years to help them realize the American Dream of homeownership. Most of the country’s population can’t save up enough cash to pay for a home outright because it is just not realistic. So what is the next best option? Set them up with a home loan to buy now rather than wait or maybe even never. I have a mortgage on my home. My parents do as well. My siblings and their spouses do. And so do most of my friends. It’s just a very natural and common approach to how we were raised for years in our society. There is absolutely nothing wrong with buying a home, leveraging the cash that the bank will give us for a certain amount of interest and hopefully pay off in the long run. But as a side note – do we really own our home when and if we ever pay off our mortgage? If you’ve looked at the Truth and Lending Or Closing Disclosures, you’ve probably found yourself gasping at the astronomical number that shows how much you’ll actually pay for that $200,000 home. Even though money has been cheap over the last several years, the compounded interest almost doubles the amount you thought you’d be borrowing. But I digress. There is still an upside with appreciation over the years. That is if the market stay in good standing over the years. The fact that it provides us shelter, memories and a chance to raise a family, these are all things we’re more inclined to be emotionally attached to and that ultimately drive our decision making when buying a home. And even still, when a mortgage is finally paid off we’d still be inclined to carry homeowner’s insurance. And the property taxes that the government has so richly blessed us with makes me second guess if we truly own it…. ever. Why am I telling you all this when I’m in the business of providing a loan to you the consumer? Because sometimes we as a society get lost in our perception of how things are. I want to provide an all angles look at what we may deem as convenient and good but can also go horribly bad at the same time. You need to consider the good, bad and ugly when taking out a mortgage – Any mortgage. So then why can a reverse mortgage be a good thing for someone 62 years or older? Well, plenty. Let’s take a look at a few of the advantages this type of loan can provide in comparison to a forward paying traditional mortgage once you’ve officially hit your golden years. Advantage #1: It can help you pay off your current mortgage and alleviate your current monthly payment allowing you to financially breath more comfortably on a monthly basis. That extra cash flow per month can help pay high medical expenses, pay other debt down faster or even completely in full at closing depending on appraised value, pay utilities and a myriad of other options. Some seniors or baby boomers as I now call them are living on their retirement investments earlier than planned because they have no other options of supplemental income to cover the extra they need each month. If you happen to be one of these folks and drawing from retirement, you may even be paying taxes on this monthly amount. So it’s a double whammy. Tapping into retirement investments is not the greatest option and financial planners usually do not like it because he or she knows the money could be better leveraged in the investment. With a reverse mortgage you can tap into your home’s equity, tax free and let it work for you all while maintaining home ownership as long as you live in the house. You can always go get a part time job. But you will be taxes on that income as well. And here’s another little tidbit – no one knows what the market will ever do anymore. You may think that tapping into your home’s equity will deplete it and leave nothing for you in the future or for your kids, but what if the market goes south again? These days in my industry they don’t say, “if” anymore. They say, “When”. The real estate market over history has shown us that it will always need to correct itself. Sometimes, like during the recent recession it needs to do so in a big way unfortunately. In other times the correction has been slight and no real harm done to most. We just never know how big the ripple effect. With a forward paying traditional mortgage you’ve probably paid a ton in up front interest to the banks over the years in “hopes” of future equity and now it could be gone and worthless anyway. So what then? In no way am I trying to paint a doom and gloom portrait. My point is none of us have a crystal ball and can predict the future. 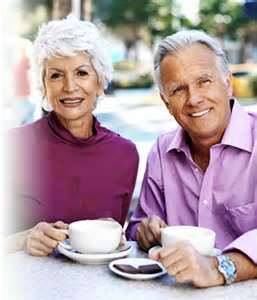 If you need help now or want to be a little more comfortable, then maybe a reverse mortgage would be a great option. I put baby boomers like yourself in reverse mortgages all the time and can see the difference it makes. Advantage #2: Reverse Mortgages also have many safety layers to protect you and your loved ones. For instance, you can only borrow up to 60% of the home’s value when refinancing with a reverse mortgage. This leaves 40% equity left and forces you to not spend all of your home’s equity. That’s a pretty good idea if you ask me and shows that the numbers are conservative and looking out for your best interest. Now get this, IF the market were to tank and you become upside down and then you need to move out OR you pass a way, no one is responsible for the deficiency. Not your kids, not your friends. Not your pets. No one is. This is a government, federally insured loan. The bank knows that there is a slight chance that this could happen and they are insuring against that risk. So what are the advantages to you? Everything. It gives you what you need today and not potentially in the future. Advantage #3: Qualifying for a reverse mortgage compared to a forward traditional loan or equity line is much easier. It’s not really contingent on credit scores (although we do have to pull credit to make sure no federal liens exist). You don’t have to contend with debt to income ratios. You only need to show that you can pay your property taxes, homeowner’s insurance and any HOA dues if applicable. If you can show that you can at least pay those, then you are good to go. Very, very simple. Advantage #4: You can use a reverse mortgage to purchase a home. How and why can you do this? We will take the age of the youngest borrower on the application if married, the value of the home (purchase price) and that equation determines how much you need to put down for closing. Why is this a good option? Well, a lot of folks as they get older may be able to pay for their home in cash or have a sizeable down payment from the sale of a previous home. However, maybe you do not want to as that would deplete all of your cash. Maybe you are unsure of what the market will be like in the future. Maybe you can leverage some of that money somewhere else. After all, your money is only going to make you so much annually once put towards a home. And again, maybe the market crashes and you need some of the money kept in your control instead of paying in full towards a home. Money for emergencies, living, medical costs, etc. The great thing about using a reverse mortgage for purchase is you still have no monthly payment. You still maintain ownership. 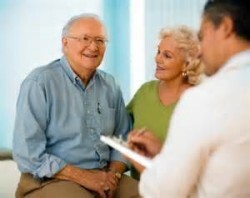 As long as you maintain the property in full, you will enjoy the benefits of a reverse mortgage. In summation there is no wrong or right answer as to taking out a reverse mortgage or traditional forward paying mortgage. A reverse mortgage may not be for everyone. But then again maybe a traditional mortgage or equity line isn’t either. It only comes down to which loan option is tailor made for your needs. Just as each human being has a unique genetic makeup, so do our financial scenarios including mortgages. If you would like more information on a reverse mortgage, I am more than qualified to help you in all the details and if it would make sense for you. And if you’re ready to get the process started, I can guide you step by step in getting you on your way to healthier mortgage option today. Green House Mortgage is a full service home loan origination entity in Tampa, FL and servicing the state throughout – We can do loans anywhere in Florida! If you have any questions regarding this article or simply need mortgage advice please call 813-732-3155 or email us at info@greenhousemortgage.com. We are dedicated to giving you the best mortgage consultation available. Green House Mortgage – It Pays to Go Green!